With support from the Irish Government, through Irish Aid, CBM Ireland is supporting children and adults with disabilities in the Democratic Republic of Congo. When caught in the middle of a humanitarian crisis or armed conflict, people with disabilities are significantly more vulnerable than others. CBM Ireland operates a community-based rehabilitation project in the Democratic Republic of Congo, despite it being one of the world’s most challenging places to operate. A combination of devastating armed conflict, deadly disease outbreaks, natural disasters, and nutritional emergencies has left the country in a state of perpetual crisis. One especially unstable and vulnerable region is the North Kivu province, which is located at the border of Rwanda and has been a flashpoint of internal armed conflict for more than two decades. CBM Ireland’s project is located in this particularly troubled region. Despite having all odds against them, there is a lot of evidence that while the population of the North Kivu province in economic terms is extremely poor, they are rich in resilience and spirit. However, they suffer from lack of access to health care, quality education and other basic services. Life for many is a daily struggle for securing the next meal, not only for themselves, but for their children, grandparents and other dependent family members. In such an environment, children and adults with disabilities often do not stand a chance. Families simply do not have the resources to care for someone with special needs. Stigma and prejudice against persons with disabilities prevail due to cultural beliefs and low education levels among the general population. Families often choose to hide family members with disabilities, not so much as of embarrassment, but to protect them. 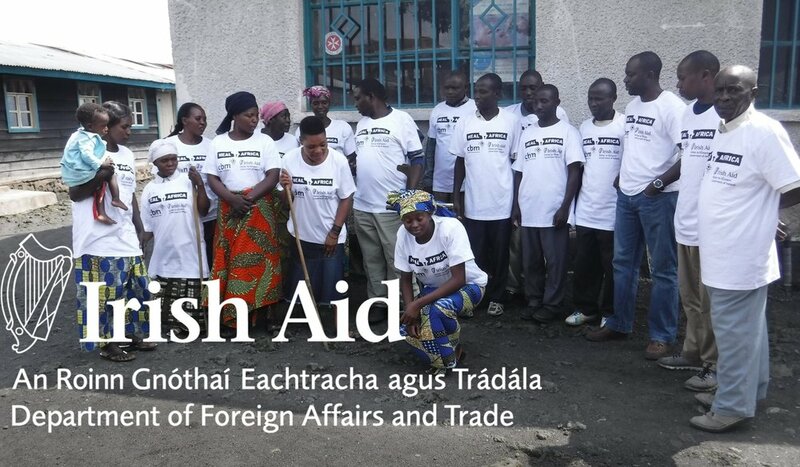 CBM Ireland’s project is financially supported by the Irish Government through Irish Aid. The project seeks to perform the function of a social worker by first, identifying children and adults with disabilities and, secondly, providing the services they need for social and medical rehabilitation. The project also works with the local communities and authorities to break down stigma and empower persons with disabilities to fully enjoy their human rights as laid out in the UN Convention on the Rights of Persons with Disabilities. The project is being implemented with support from HEAL Africa, a longstanding local hospital partner of CBM. HEAL Africa undertakes medical outreach missions to two local government run hospitals in conflict affected regions. There, HEAL Africa’s medical team trains local medical staff in the undertaking of basic orthopedic surgery. In turn, they are able to provide orthopedic surgeries to patients in order to help them overcome mobility- and sensory-related impairments. A majority of the patients are infants and young children, as they are most likely to fully overcome their impairment with surgery during their developing years. Surgeries and other treatment are provided free or charge, and the training of local medical staff promotes long-term sustainability by increasing the capacity and medical skills of the local hospitals to continue offering such services after the project has been completed. The project also actively promotes the rights of persons with disabilities though a range of community-based activities and public awareness campaigns. Government officials, the defense forces, community leaders and religious leaders are trained on the obligations outlined in the UN Convention on the Rights of Persons with Disabilities. In the villages, the project engages community activists, some of whom have disabilities themselves. They are trained to disseminate information and leaflets about disability at meetings in the local communities in order to combat stigma and misinformation. Radio broadcasts further spread such comprehensive information. Additionally, traditional healers and traditional birth attendants are trained in good health practices and techniques that prevent disability. The project is progressing well with full commitment from the local communities and authorities. The community activists have taken full ownership of the project to the degree that they have begun to organise themselves with limited supervision. Local leaders and beneficiary families refer to this project as a ‘direct impact project’ as a result of the visible change in an impairment within two weeks of the corrective surgery provided by the surgical outreach. Such change is very visible and testimony that physical impairment can be overcome. We are happy to see that the quality of life for children and adults with disabilities in these communities are improving.